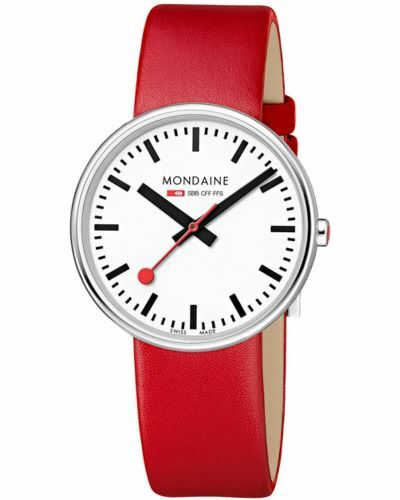 This striking unisex watch is brought to you by reowned Swiss watchmakers Mondaine as part of their Mini Giant collection. 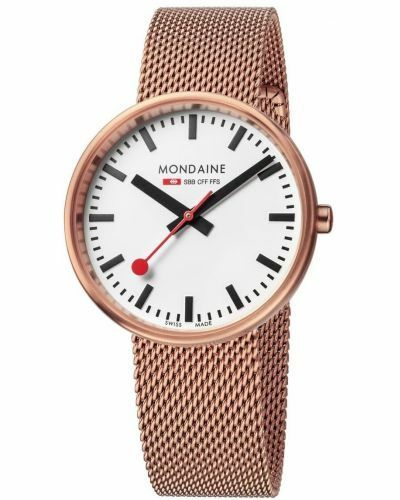 Retaining the classic Mondaine aesthetic this eye catching watch has been specially crafted; the case is designed with no lugs and creates the illusion of wearing the iconic Swiss Railways Clock on your wrist meaning the watch rests more comfortably for everyday wear. The clear dial is protected by hardened mineral crystal and houses a Swiss quartz movement. 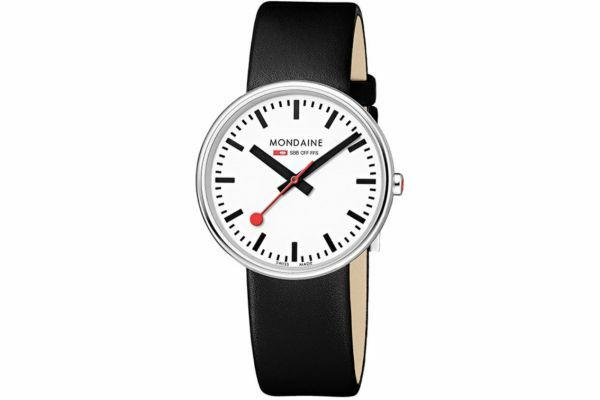 Set upon a genuine black leather strap and fastens with a stainless steel buckle fastening. 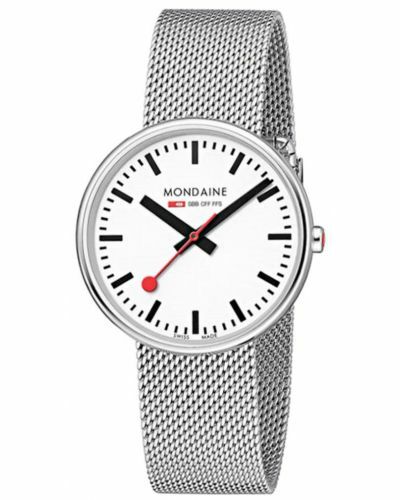 For us to size your new Mondaine Mini Giant watch as accurately as possible, please take a look at our downloadable Watch Sizing Guide.